The lone survivor of what became the single largest loss of life in a day in the history of the Navy SEALs will share his story on Sept. 29 as Sam Houston State University's 14th President's Speaker. The series lecture will be held at 11 a.m. in the Criminal Justice Center's Killinger Auditorium. 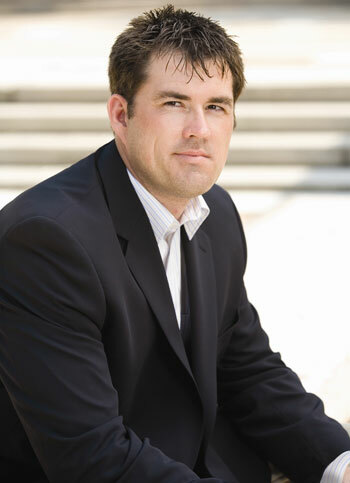 Marcus Luttrell, a Willis native and SHSU alumnus, tells his harrowing story in 2007's No. 1 New York Times best-selling book, Lone Survivor. He joined the U.S. Navy in March 1999 and became a combat-trained SEAL in January 2002. After serving in Iraq for two years, he deployed in the spring of 2005 to Afghanistan, where he and three other SEALs participated in Operation Redwing. While on the mission to gather intelligence on a Taliban leader with ties to Osama bin Laden in the mountainous border of Afghanistan and Pakistan, the team encountered three goat herders, who were questioned and let go. Shortly after, a large Taliban force ambushed the four-man team on a remote ridge and forced the team to fight. Hours after Luttrell had watched all three friends die and was literally blown off the mountain by a rocket-propelled grenade, a rescue helicopter carrying 16 special operation forces was shot down. All on board were killed, becoming the single largest loss of life in a day in SEAL history. His injuries included a lacerated face, a broken nose, a torn rotator cuff and three cracked vertebrae. Riddled with shrapnel and unable to stand, Luttrell began to crawl through the mountains in search of shelter. Help arrived by way of the Afghan villagers of Sabray, who took him in, cleaned up his wounds and, honoring their tribe's custom, protected him from the Taliban at the risk of their own lives. As the Taliban circled the village and the threats intensified, the village elder sought help from the nearest Marine outpost. Five nights after the nightmare began, Luttrell was rescued. After recuperating, he redeployed to Iraq for a second tour. In the spring of 2007, Petty Officer 1st Class Luttrell retired. He was awarded the Navy Cross for combat heroism in 2006 by President George W. Bush. During his lecture, Luttrell discusses the rigors of SEAL training and what it takes to join the America's elite fighting force, to the battle on the mountain, into his family's experience of community support and generosity, and back to his own story of survival and grace. Following the discussion, Luttrell will sign copies of his book. Created in 2002 by SHSU President Jim Gaertner, the President's Speaker Series is designed to introduce SHSU students, many of whom are first-generation college students, to people who are living successful and principled lives. It is supported by a grant from long-time SHSU benefactor Lu Ellen Gibbs. Previous speakers include Gene Stallings, Debbie Fields, David Robinson, Ken Jennings, J.C. Watts, Drayton McLane Jr., Sherron Watkins and Bob Dole.